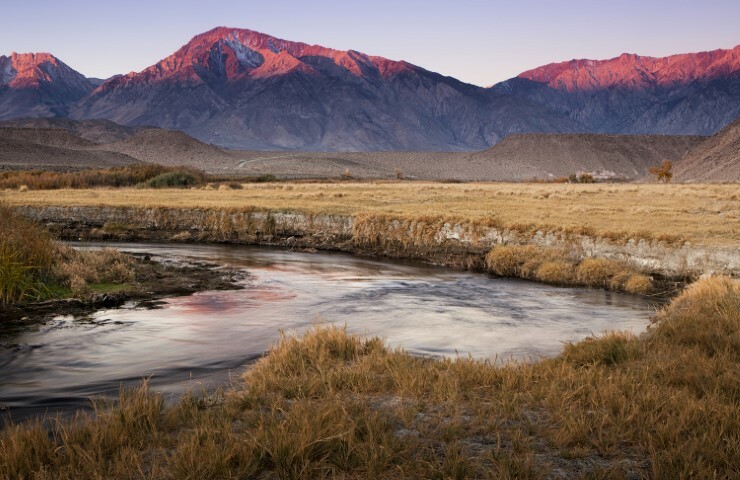 Although there are many more than ten fun and exciting things to see and do while you are visiting the Sierras, here are ten we feel are a “must do”. Oh and by the way, we love them all about the same so they are not listed in any particular order. Devils Postpile is an amazing geological site. To see it in a photograph, it looks like someone stacked railroad ties vertically against a hillside. You don’t truly get a sense of the massive beauty until you see it in person. Open in the summer months, Devils Postpile National Monument was established over 100 years ago to preserve the natural splendor. Devils Postpile National Monument includes two main tourist attractions, Devils Postpile and Rainbow Falls. Additionally, the John Muir Trail and Pacific Crest Trail merge into one trail as they pass through the monument. Most of the National Monument lies within the borders of the Ansel Adams Wilderness. The Monument was once part of Yosemite National Park, but discovery of gold in 1905 near Mammoth Lakes prompted a boundary change that left the Postpile on adjacent public land. The name “Devils Postpile” refers to a dark cliff of columnar basalt. Some dating methods indicate the formation was created by a lava flow at some time less than 100,000 years ago. 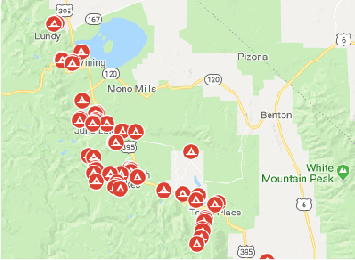 The source of the lava is thought to have been somewhere near Upper Soda Springs campground at the north end of Pumice Flat on the floor of the Middle Fork of the San Joaquin River. Because of its great thickness, much of the mass of pooled lava cooled slowly and evenly, which is why the columns are so long and so symmetrical. Columnar jointing occurs when certain types of lava contract while cooling. A glacier later removed much of this mass of rock and left a polished surface on top of the columns with very noticeable glacial striations and glacial polish. 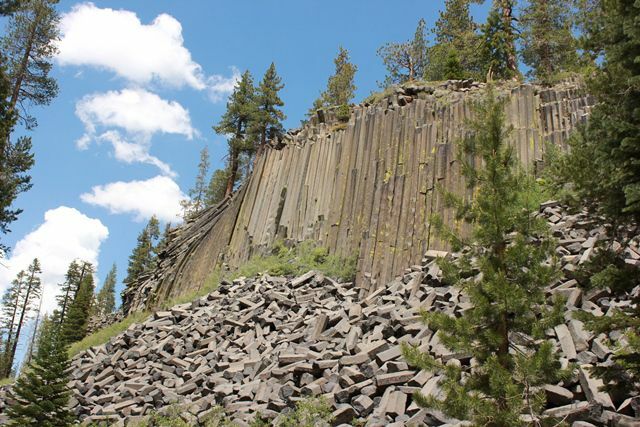 The Postpile’s columns average 2 feet in diameter and many are up to 60 feet long. Together they look like tall posts stacked in a pile (where it gets its name). To learn more about Devils Postpile, visit the National Park Service website here. Mono Lake is a very beautiful but mysterious lake north of Lee Vining. This lake was formed over 750,000 years ago and is a land locked salt water lake. Because it has no outlet to the ocean, the salt content is very high, almost 10%, making the lake alkaline. Although there are no fish in the lake, there are several other species of animals including brine shrimp and birds that make Mono Lake their home. Mono Lake is often photographed for its beauty. Large formations known as tufas provide for interesting pictures. Guided and self-guided walking and kayaking tours are available and well worth your time. 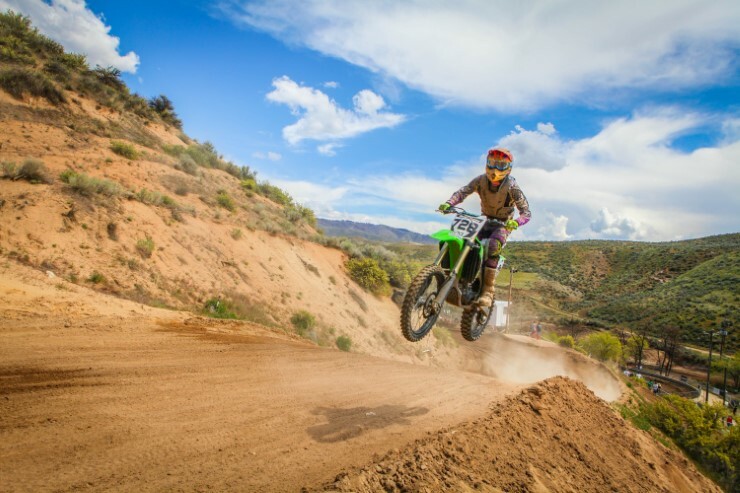 There is an great information center within the town of Lee Vining open year around as well as a visitor’s center located overlooking the southwest shore of the lake. Bodie is an authentic Wild West ghost town. The city began as a mining camp following the discovery of gold in 1859 by a group of prospectors, including W. S. Bodey. On a trip to what is now Mono City, Bodey was caught in a blizzard and died. He never saw the city of Bodie that would eventually take his name. In 1876, the Standard Company discovered a profitable deposit of gold-bearing ore, which transformed Bodie from an isolated mining camp to a Wild West boomtown. By 1879, Bodie had a population of approximately 5000–7000 people and around 2,000 buildings. It is thought that in 1880, Bodie was California’s second or third largest city, but the U.S. Census of that year disproves the popular tale. From late 1877 through mid- to late 1880, Bodie was a bustling gold mining center, hosting many of the same amenities of larger towns. There was a bank, fire department, brass band, union halls, daily newspapers, and a jail. Of course there were several saloons that lined the main street. Murders, shootouts, barroom brawls, and stagecoach holdups were regular occurrences. Many of the buildings are still standing today. Visitors are allowed to walk freely around the buildings. Although many are closed for preservation, you can look in the windows and some you can walk inside. Guided tours with park employees are available where you can access some more of the buildings. Bodie is very popular with photographers. Many photography clubs meet at Bodie at various times of the year to capture the mysteries of Bodie. If you plan a trip to Bodie, pack a picnic lunch. There are no services in the area but plenty of space to sit with your family and friends and enjoy the scenery. Visit Bodie on the web here. Mammoth Mountain is just that, a mammoth sized mountain at 11,059 feet! It is home to one of the nation’s largest ski resorts and year around family fun. In the winter, skiers can take advantage of over 400-500” of average annual snowfall. Summer activities include scenic gondola rides, a mountain bike park, and climbing wall. Restaurants are plentiful and so is the sundeck. Looking for somewhere to take the kids while you relax with a book, this is a great spot! For more information about Mammoth Mountain, click here. Convict Lake sits at an elevation of 7,850 feet and includes dramatic views of Mount Morrison. This is a widely photographed lake and has been the backdrop in many movies and commercials. The lake was named after an incident on September 23, 1871, where a group of convicts escaped from prison in Carson City. A sheriff’s posse led by Deputy Sheriff George Hightower, encountered the convicts near the head of what is now Convict Creek. Posse member Robert Morrison, a Benton merchant and Wells Fargo Agent, was killed in the encounter, and Mount Morrison was named after him. Today Convict Lake is popular year around. Summer months bring campers and fishermen to the shores in search of trophy rainbow and brown trout. There is a tackle shop and convenient store nearby as well as restaurant and bar. The restaurant has great food and is known as a local favorite. The June Lake Loop has been attracting people such as fishermen, hunters, and hikers since the 19th century. Situated along State Route 158 between Mammoth Lakes and Lee Vining, the June Lake Loop is thought to be one of the most beautiful spots in California, especially in the fall where autumn colors explode from the hillsides. For many years, the loop remained without roads and was only recognized for recreation including fishing. During the decline of the mining era, interest developed in the new technology of hydroelectric energy. By 1915 a roadway was constructed up Rush Creek to just past Silver Lake, and a rail tramway system was moved from a defunct mine at nearby Bodie into the steep and rugged mountains above for the construction of two dams to provide hydroelectric power. The Rush Creek Hydroelectric Project was a significant step in the development of hydroelectric power in the State of California, and the Rush Creek Power House began producing electricity for distant cities in 1916. From the road, you can see the power plant and one of the waterfalls that powers it, Horsetail Falls. June Lake now offered more than just recreation and fishing and began to grow. Today the road traverses approximately 12 miles through a quaint village known as June Lake. Approximately 600 people call June Lake home. There are four lakes around the loop: June Lake, Gull Lake, Silver Lake, and Grant Lake. Each lake offers its own distinct beauty. The village of June Lake is nestled between June and Gull Lakes. Grant Lake is at the north end of the loop just before re-entering US 395. Silver Lake sits at the base of towering Carson Peak. There are a number of campgrounds, shops, and restaurants to explore in the area. Throughout the years, June Lake has seen many different businesses rise and fall including banks, hotels, dance halls, and even legends of gambling halls back in the day. Tourism is the main attraction and fishing is still very popular. Rainbow and brown trout populate the lakes and streams. In the winter, June Mountain Ski area is a very popular spot. If you plan it just right, you can enjoy the gorgeous fall colors that burst in the loop each fall. Some can’t miss spots on the loop include the Silver Lake Resort, the loop’s oldest establishment. Silver Lake Resort has a small gift shop, store, and restaurant. Another popular spot includes the Tiger Bar in the Village of June Lake. The Tiger (as the locals know it) holds one of California’s oldest liquor licenses. Click here to learn more about June Lake. Obsidian Dome is one of the craters within the Mono-Inyo Craters. It is popular as you can drive almost directly to the base of the crater and hiking around it is easy compared to some of the others in the chain. The obsidian on the crater is cooled lava from volcanic activity centuries ago. This lava cooled very slowly creating a smooth, dense, rock that looks basically like black glass. Although black is the most common color, if you look close, you can find many other colors of obsidian including brown and near clear. This obsidian has been used for hundreds of years. Indians broke the glass rock into spears for tips of hunting arrows. To the west of US 395 near Crestview you get a good glimpse of these craters. You can access the craters from many of the dirt roads leading west off the highway; however, one of the more popular roads is at the top of Deadman Summit. Just as you crest the summit, drive west on Hartley Springs Road (dirt). You will see signs leading you to what is known as the backside of Obsidian Dome. Other similar craters are accessible from other dirt roads and all the craters bear the same glass rock. Some considerations: Although a four wheel drive is not necessary, it is very easy to get stuck in the soft pumice sand near these craters. Stay on developed dirt roads. The glass rocks can be very sharp. Wear protective clothing including hiking type boots and stay within your ability. Bring water with you and enjoy your day. These craters are remote and not heavily visited as some of the other attractions in the area. Pack a picnic lunch and enjoy the peace this area houses. The Mammoth Lakes Basin is home to year around recreation. As you enter the basin on Lake Mary Road from the Town of Mammoth Lakes, you come across two lakes appropriately named Twin Lakes. The lakes are shallow and no motorized boats are allowed; however, row boats, kayaks, and float tubes are encouraged. Tamarack Lodge sits along the shore and houses a great restaurant. Closer to the campground there is a mini store and tackle shop, great for getting an ice cream bar to eat along the lake shore. In the distance there is a water fall that actually comes from another lake further up the road. 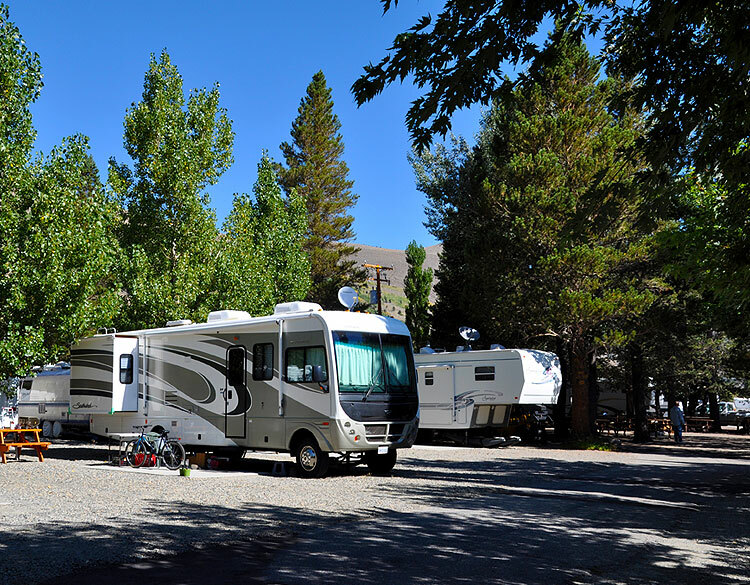 Many campgrounds line the lakes including Twin Lakes, Coldwater, Lake Mary, and Lake George. There is so much to do and see including boating, fishing, horseback riding, and hiking, mountain biking, or just sitting along the shore and reading a book. For more information on the Mammoth Lakes Basin, click here. South of Mammoth Lakes near the Mammoth Yosemite Airport, Mammoth Creek enters the Long Valley Caldera and turns into Hot Creek. The natural hot springs and geothermal activity in the area heat the water. This is a popular spot for hiking and fishing. Although some people bath in the warm water, due to dangerous spikes in temperature, the US Forest Service has closed this area for swimming. Near Hot Creek, the California Department of Fish and Wildlife operates a fish hatchery. The hatchery is open to the public and there is information and programs available. This is a great place to learn about the fish that are native to the area, how fish are raised, and the important stocking programs done throughout the Sierras. For more information on the Hot Creek Fish Hatchery, please click here. Just a short drive north of Mammoth Lakes is State Route 120 west, commonly known as Tioga Pass. State Route 120 winds its way up through a canyon and eventually drops into Yosemite pass but not before climbing to almost 10,000 feet. Some of the most beautiful cliffs, rocks, spring run-off, wild flowers, and lakes line this route. You can drive several miles up Tioga Pass without actually entering Yosemite National Park (fee to enter). Yosemite is close enough to make a day tip, but Tioga Pass is a must. Fishing in the cold water lakes is great through the season. Just to say you stopped at a lake that is over 9,000 feet and maybe even dipped your toes in the freezing water is fun too. Drive carefully, what goes up must come down. Steep downgrades with no guardrail make for a slow trip. Well worth the view of the Mono Craters, Mono Lake, and surrounding area. For lunch, visit Lee Vining, just a mile north of the Tioga Pass turn off. US 395 runs through this small town. There are several lunch spots but the Mono Cone is a local favorite.